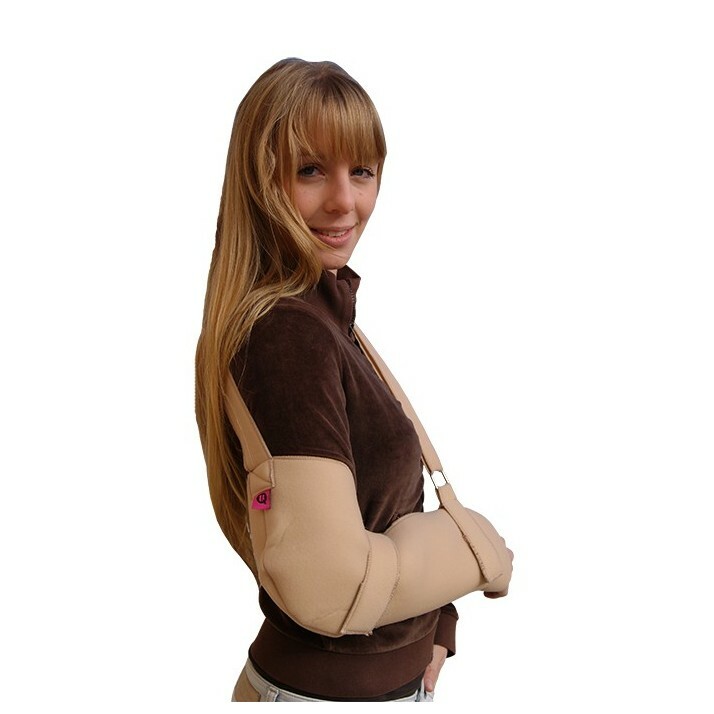 This product constitutes the universal shoulder immobilization system. Some of its technical characteristics are: the presence of a strip that holds the sling to the necks patient and another one that permits a greater immobility when is placed from the elbow to the hand (the strip must pass along the back of the trunk at waist level). 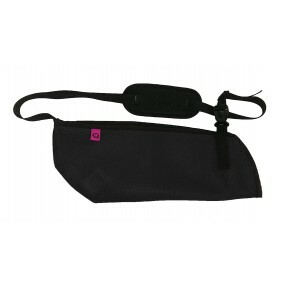 INDICATIONS The adherence of the Velcro permits the perfect adaptation of the product to the treatment necessities. The patient enjoys greater comfort and stability of the arm’s articulations. Use and installation of the product under medical prescription. COMPOSITION 100% polyester foamized tissue. Velcro. Bias: 100% polyester. MAINTENANCE Hand and machine washable with non-abrasive products at a maximum temperature of 40ºC. Do not dry clean. Do not use bleach. Do not iron. Do not tumble dry.